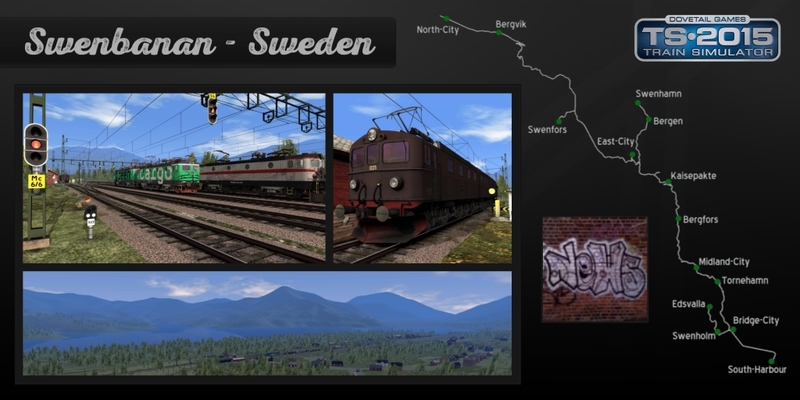 I've made a big update of my old swedish test route for TS2015 and above. You need in some scenarios the Rc and or the Da-EL12-Dm loco package. Please drive in curves 10km/h lower as allowed. Absolutely fantastic, thank you so much for all your great work! Isn´t it possible to package the route and include all assets so we can have one (1) .rwp-file with all assets included in one (1) install? When i downloaded Northern Europe all assets but two were included in the download and installing was a breeze. If you install more as one rwp/rpk file you can use drag and drop. Senast redigerad av newS den 2015-01-07 klockan 16:51. I can´t drop the files anywhere in TS Utilites UI. I clicked Install and browsed to the files in the Load Package dialog. Selecting all files in that dialog did the trick. Senast redigerad av Rogge den 2015-01-07 klockan 18:23. I have installed everything, the route and the assets in the file SE-Swenbanan_v2.0_by_newS_for_TS2015_and_above-Assets.rar. No QD is not an issue, but ending up in another route when i try to create a Sceanrio for Swenbanan is. Sorry, but QuickDrive is not available. I've made a update for the swedish catenarys. I was just going to make the same comment! Also the gradients are very steep, in some places over 5%. Block signals and entry signals should normally have a distant signal, normally 1 km (if I remember correctly it can be between 800 m and 1200 m, if the distance is more or less than this there should be a sign with the distance) before the main signal. Where the signal blocks are less than 3 km the distant signal is normally built-in with the previous block signal. If this is the case an orientation sign is placed 1 km before the next signal, indicating to the driver that this is the point to take action to any restrictive signal aspect from the previous signal. Where a lower speed limit is coming up ahead, the orientation sign for this should also be 1 km before the new speed limit. 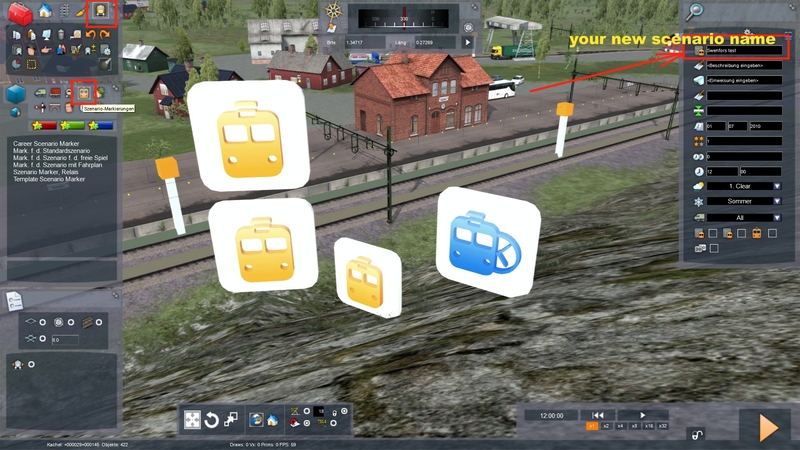 I know it's just a test route, but maybe you will find this useful when building the Kiruna-Narvik route. At the Swenbanan I have forgot the distance signals. I has planned to change the signs to signals. At the Kiruna route I make it as real. I have Videos (Narvik-Kiruna and Kiruna-Narvik) and I compare it.